When you work for someone else, you never have to worry about the small stuff of owning a business. You just expect that things will happen. Someone else will do the heavy lifting. All of that changes when you go into business for yourself. As Virtual Assistant it is up to you to make sure that everything is in order. Here’s 6 things you’ll want to do to end the worry of your business startup. First, you need to choose whether to incorporate or work as a sole proprietor. You will get many more tax deductions in your business as a LLC (Limited Liability Company) than you would as an individual but when you first start out it’s okay to start as a sole proprietor and then change after you start earning money. The rules and regulations will vary as to how to file, but setting up an LLC should be straightforward and can usually be done online. In the United States (USA), to start a sole proprietorship all you need to do is start your business using your name and social security number. But, you should probably get an EIN anyway to avoid any risk of identity theft. In the USA, you’ll get an EIN which is called an Employer Identification number. But, this number isn’t just for people who want to employ others. It’s a common number to signify your business as its own entity. In other countries, it may be called a TIN and is essential because the last thing you ever want to do is give out your Social Security Number (SSN) to anyone to get paid. If you live outside the US, check to see the procedures for your country. To open a business bank account, you’ll need to have a business license plus your TIN or EIN. So, get this first. Often this will be in the same place in your county as where you get licenses for your boat and car. That’s the best place to check first. If you aren’t sure what to do, find your local SCORE office and they’ll be happy to help. Some states in the USA require state, county and city licensure. You may also have to get a special certificate from your fire department due to zoning issues. If you are Canadian click here for more info. Once you have your business entity details and your TIN, you will be able to open a business bank account. You can try the bank you use now for personal matters to find out what they offer in terms of business accounts. Business accounts can be expensive due to transaction fees so ask the right questions so you can get the best deal. Note: If you’re using your own name and don’t need another name for cashing checks you can open a personal account separate from your household account to use for business until you have the funds to get a special business account. The point is you need to keep it separate. People often complain about the fees but PayPal fees are less expensive when you consider that you don’t have to pay a monthly fee for the technology than most credit card accounts that you can get through your business bank account. Plus, a lot of clients like paying via PayPal so if you don’t take it you’ll be limiting yourself too much. PayPal automatically converts money to the other person’s currency so you never need concern yourself. Send an invoice in your dollar amounts and your clients will pay based on their currency. Your business bank account should be linked to your PayPal account. You’ll be able to transfer money in and out very easily and keep it separate from your personal accounts. PayPal is one of the easiest ways to get paid by anyone in the world who has an email address. Snail mail has its uses for official paperwork related to the business, but most of the time you will be working online. However, a paper trail will still be needed to get your tax deductions. Any money you spend on the business should be accompanied by an actual receipt, not just a credit card statement or slip. Keep all receipts in a safe place, such as an accordion folder and/or a folder on your desktop. You can also use digital paper today by using one of the services such as Shoeboxed.com. You can also scan them and save them in Dropbox.com. Setting up systems for getting paid and documenting the work you do is important. Your clients will want to know what they’re paying for, and the government will want to know how much you earned so that they can determine your tax liability. Plus, the more you know about the money coming in and going out the more successful you can be as a virtual assistant. 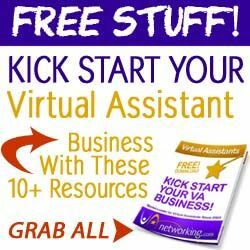 Need hand holding to start up your Virtual Assistant business? Check out my Virtual Assistant Career Training Program today. Wow! Thank you for this useful information. 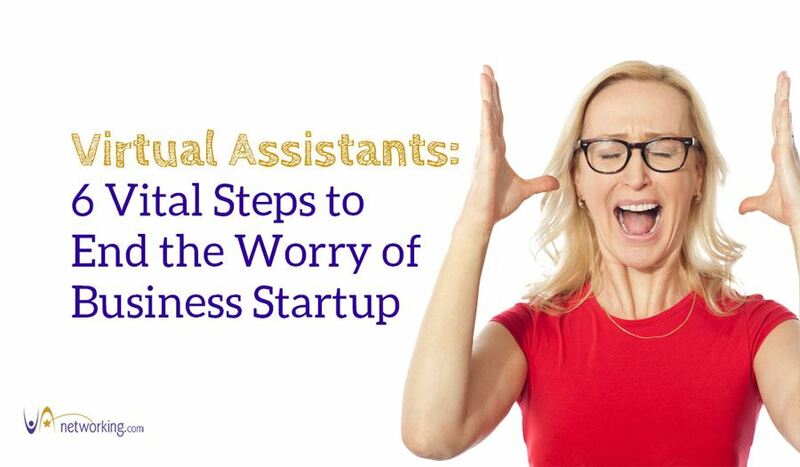 The next time a blogger asks me, “ Virtual Assistants: 6 Vital Steps to End the Worry of Business Startup ” I’m going to send them this. Just sharing it on my social network Cheers!